Our new apartment is really close to a neighborhood called Las Cañitas. 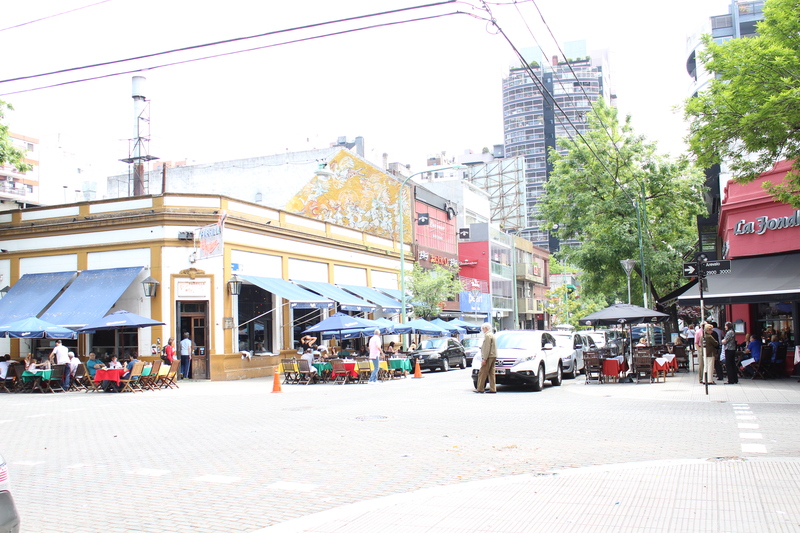 Although not an official barrio, it’s steadily becoming more established as a trendy, gastronomic area. 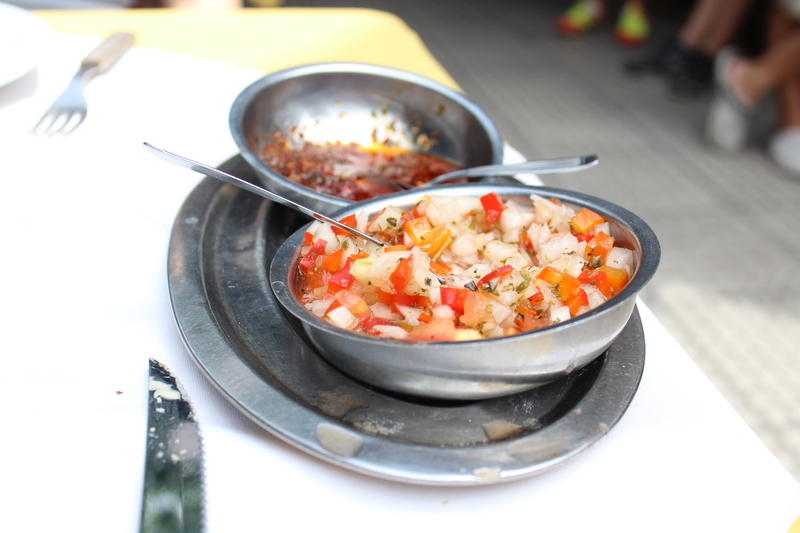 Now the thing you have to know about Buenos Aires, as much as I love it, the food is generally pretty mediocre. 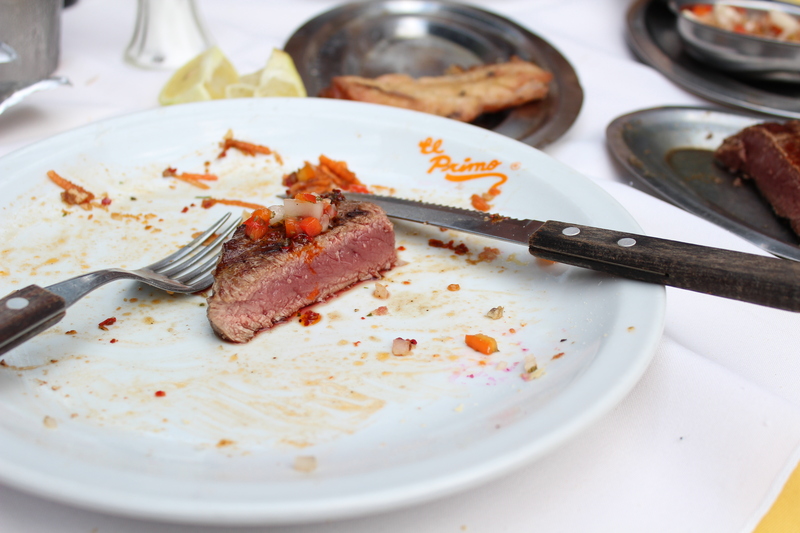 Maybe we were spoiled living in NYC for many years, or maybe we just know better, but if you’re eating anything outside of Argentine cuisine, there’s about a 90% chance you’re going to be disappointed. 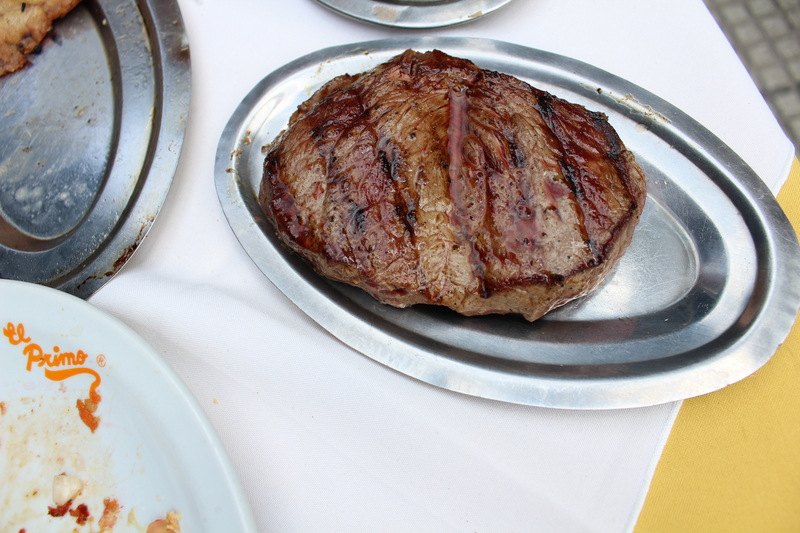 When you say to people you’re going to live in Argentina, the first thing they tell you is how good the beef is – or so they’ve heard. Well, I can confirm the hype. The quality of the meat is excellent at a very affordable price. A little too affordable for your arteries. There’s a saying here that translates, more or less, to “A meal without meat is not a meal.” They love their carne, and it really shows in how good the asado/parrilla/grilled foods are. Usually you get 2 or 3 things to put on your meat and bread. Always chimichurri, usually a vinegary pico de gallo esque one, and sometimes roasted garlic. Chorizo + pan = choripan. 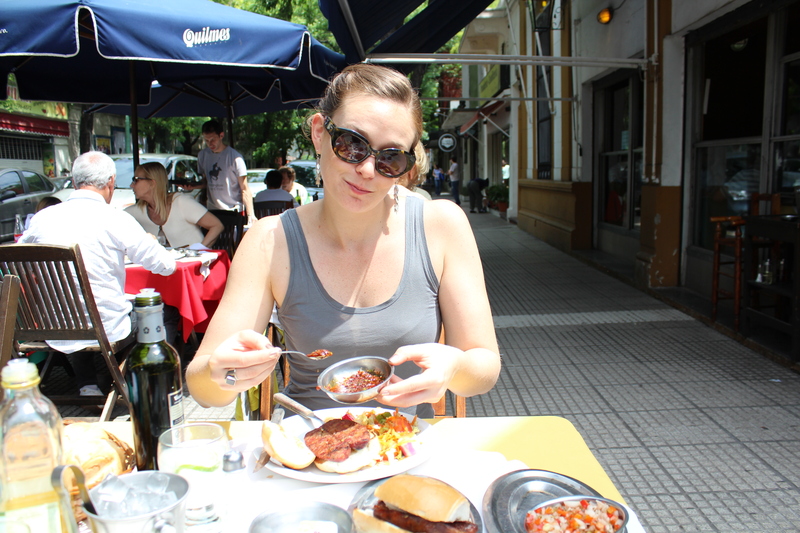 The chorizo in Argentina is to die for. Sorry, our normal photographer, Erin, had the day off. 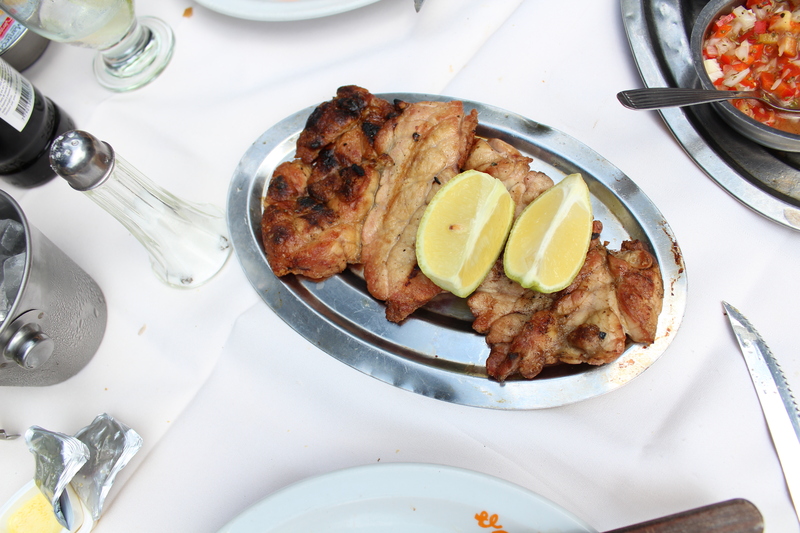 Mollejas – sweetbreads. Really tender and delicious with some lemon juice. Lomo – the tenderloin. Very delicious, but I think I’ll stick to my usual ojo de bife (rib eye). 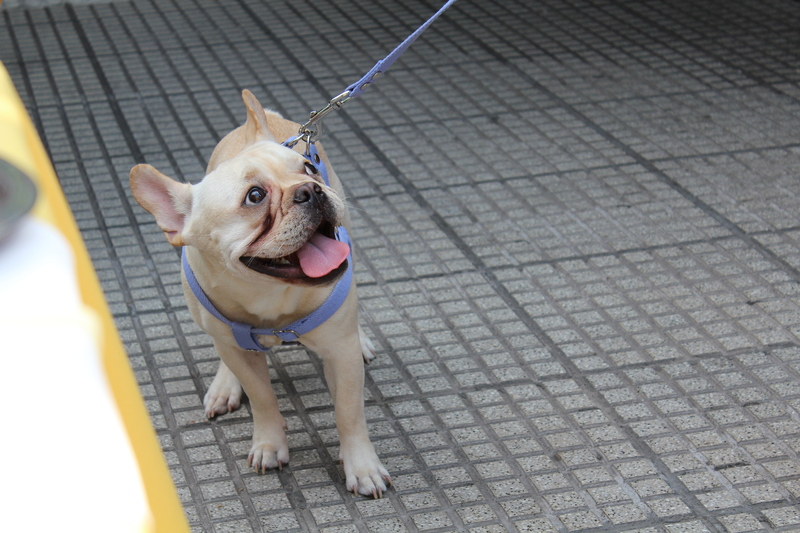 Porteños love to bring their dogs everywhere! This is torture for me because I want one so badly. Salad is not food, salad is what food eats. My mouth is watering just looking at those dishes! 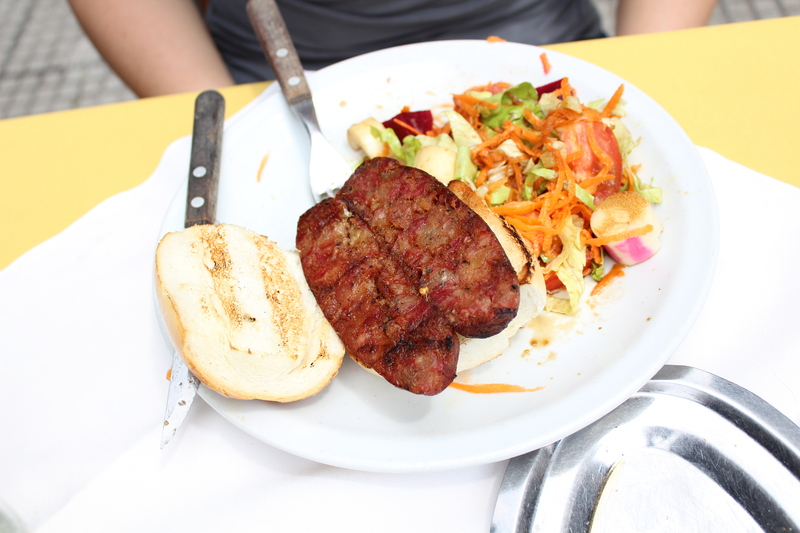 They were really tasty… i think one of my favorite dishes here is the choripan – put some chimichurri on the toasted bread… dangerously good. You can have Lucy when you come back. She killed a possum last night and got her mojo back.